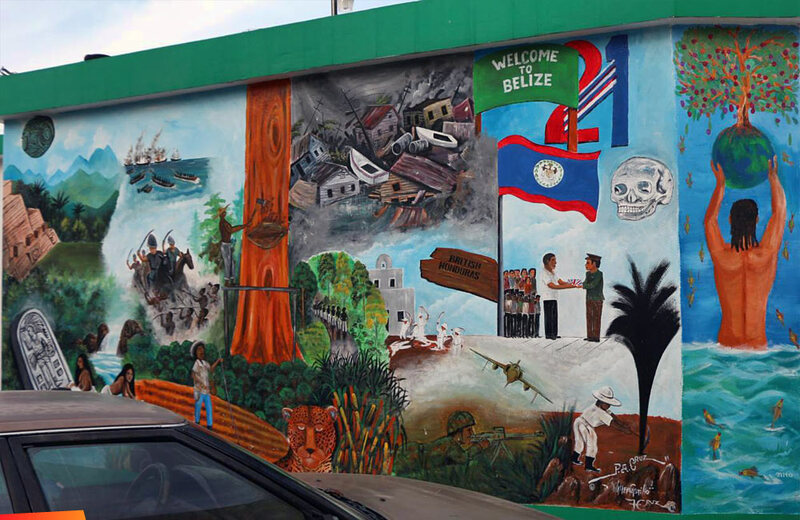 This mural in San Ignacio depicts Belize’s history, colonial warts and all. The flatness of the Belizean savannah seems to go on absurdly far inland. Traveling west, towards the border with Guatemala, I only saw the first upward wrinkles of topography once I neared Belmopan, Belize’s new capital, established in the 1960s for the very fact that the place was above sea level, thus offering protection against the western Caribbean’s relentless stream of hurricanes. While I found the rolling hills refreshing, I noticed something even more refreshing once I reached the town of San Ignacio: a growing culture of street art. Why did the artists choose San Ignacio? Perhaps it is the town’s compact walkability, offering a decent daily audience; perhaps it’s the town’s relative safeness; perhaps the artists are inspired by the novelty of hilly streets in Belize. There are a lot of specimens I found between the great-smelling tortilla shops and restaurants. 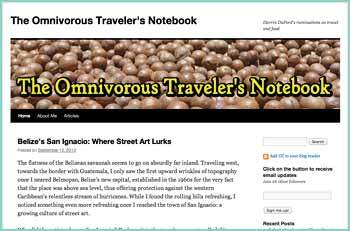 Click to read the rest of this article, "Belize’s San Ignacio: Where Street Art Lurks" and see more photos of San Ignacio street art.